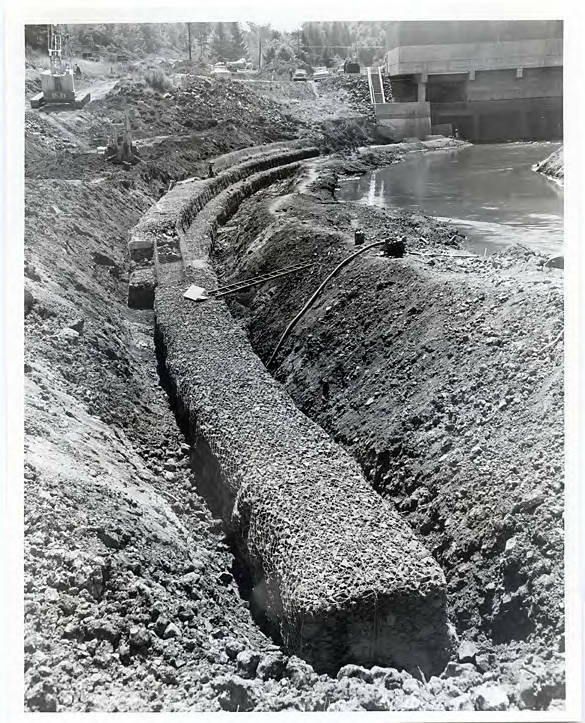 Black and white image of what appears to be part of the foundation for the dam. Scoggins Creek has been diverted along the right side of the image. Named for a local resident who settled the area in the early 1850s, Scoggins Dam was built in the 1970s and is a zoned, earth-fill dam.